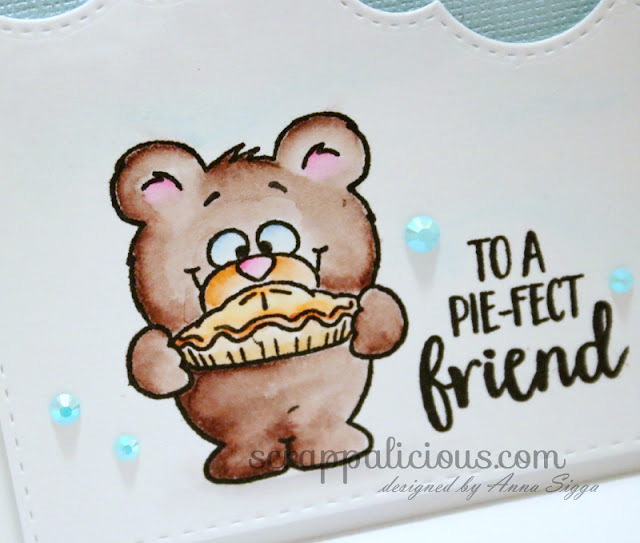 This stamp set called More than Pie is so utterly adorable. 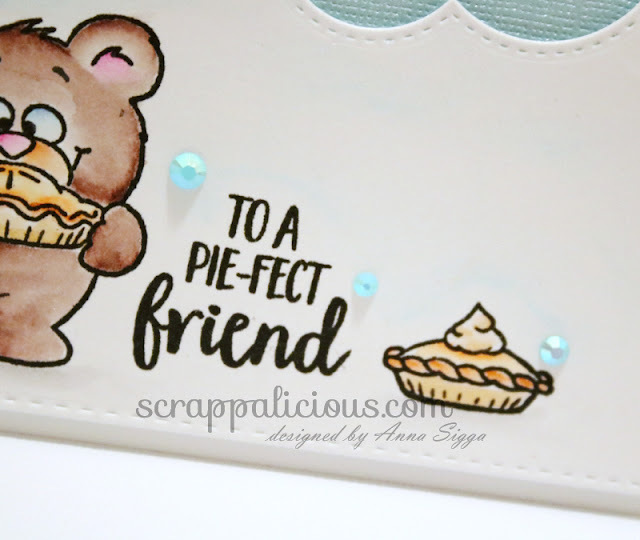 I just love these lil teddy bears to bits and the sentiments in this set are amazing. 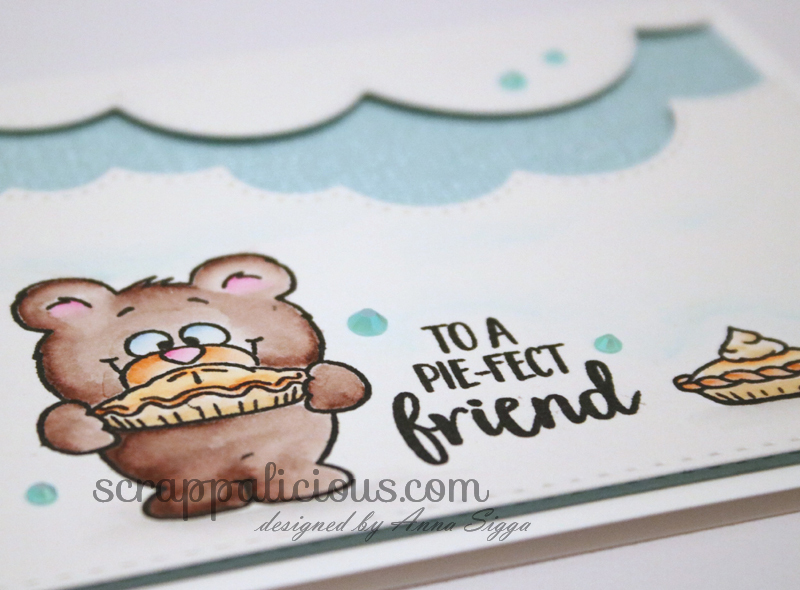 I wanted to create a clean card using soft colors so I decided to color the images with my Zig Clean Color brushes. These bears are so stinking cute and I know I´ll use them a lot.